This series will challenge us to make a choice to break out of our normal routines and spend more time seeking out people in need. Just as the Good Samaritan did when he got off his donkey to help an injured man at the side of the road whom others had passed by, God asks us to do that same in our everyday lives. 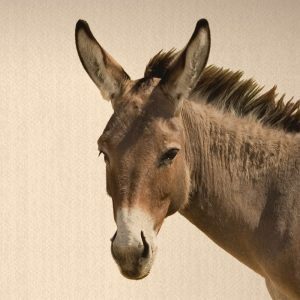 Big Idea: Getting off your donkey starts with the question that led to the telling of the parable of the Good Samaritan: “What must I do to inherit eternal life?” The man who asked the question was not asking how go to heaven when he died. He wanted to know how to live the kind of abundant life that God offers His people in the here and now. And Jesus’ answer is all about the kingdom of God that makes getting off your donkey more than philanthropy. Big Idea: Getting off your donkey call on each of us to not be like the priest and Levite in the story who saw someone in need and passed by on the other side of the road without helping him. You can’t just pass by AND get off your donkey. Big Idea: Getting off your donkey is about using my time, talents, and resources to bless the world in ways that fit with the particular person God made me to be. Big Idea: Getting off your donkey is a way of life that we have to learn from Jesus, and to learn from Jesus, we have to unlearn some things that will stand in the way of living fully missional lives. Big Idea: Getting off your donkey means living a life of impact for the Jesus mission. Be the first to review “Get Off Your Donkey – Everything We Make” Click here to cancel reply.